America's richest legends come from the frontier - from the land where the events of a single moment might erase the lines between law and lawlessness, between safety and mortal danger, between heroes and villains. The carefully selected stories in this collection are vibrant proof that the great American West is a fertile ground to storytellers. Here is the most varied collection of short stories by 17 highly acclaimed Western writers. Very entertains. Good relaxing stories. Luke Starbuck knew Death’s designs were as uncompromising as justice, and as cold and final as an unmarked grave. But when Wyatt Earp and his gang were ambushed one moonlit evening and Earp emerged from the barrage of shotgun fire very much alive, Starbuck began to wonder if there was more to the ambitious, flint-eyed desperado than met the eye. Frontier mobster Big Boy Daugherty warns any who'd stand in his way: Get out or die. One man will do neither. Sheriff Dave Buckalew is a man too proud to give up and too stubborn to give in. He liked his town the way it was - before the bootleggers, brothels, and fortune-seeking roustabouts - and so did a lot of other hardworking, decent folk. Together they'll fight to win back their town - and their future. This is the story of their heroic stand. 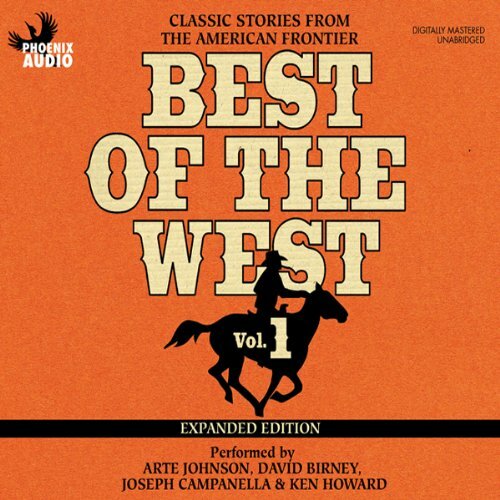 From one of the greatest storytellers of the American West comes a collection of short stories, including "Death West Bound", "Old Doc Yak", "It's Your Move", "And Proudly Die", "Survival", "Show Me the Way to Go Home", "Thicker Than Blood", "The Admiral", "Shanghai, Not Without Gestures", "The Man Who Stole Shakespeare", "The Dancing Kate", "Off the Mangrove Coast", "Glorious Glorious", "By the Ruins of El Walarieh", "Where There's Fighting", "The Cross and the Candle", "A Friend of the General", "Author's Tea", "Dead End Drift", and "Let Me Forget". 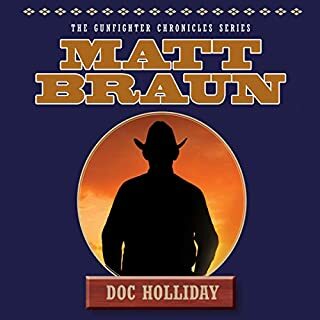 Winner of the Golden Spur, Matt Braun writes novels with an unparalleled knowledge of the West. In the harsh land of New Mexico, Clint and Virgil Brannock keep a sharp eye on their ranch, the Rio Hondo, and family, lest cheats and hustlers move in. When corrupt attorney Stephen Benton and his Santa Fe Ring threaten the ranch, the two brothers realize they must fight for the land and livelihood they cherish, or die trying. Dodge City, Kansas, is a place of legend. The town that started as a small military site exploded with the coming of the railroad, cattle drives, eager miners, settlers, and various entrepreneurs passing through to populate the expanding West. Before long Dodge City's streets were lined with saloons and brothels, and its populace was thick with gunmen, horse thieves, and desperadoes of every sort. By the 1870s Dodge City was known as the most violent and turbulent town in the West. For decades, Charlie Flagg has eked out a living by raising cattle and sheep on his modest Texas ranch. Hardworking and old-fashioned, he distrusts federal programs that claim to help struggling farmers and ranchers. But as rainless years continue and others sell their souls for federal handouts, Charlie finds himself under increasing pressure to compromise his principles - and surrender his freedom. 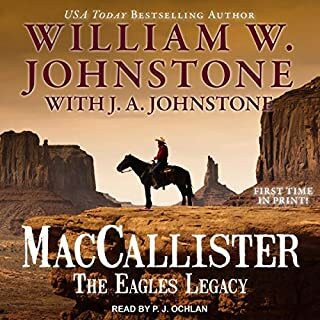 Honored by the Western Writers of America as one of history's 25 Best Westerns, and based on an actual 1883 Texas cowboys' strike, this Golden Spur Award-winning novel tells the gripping saga of veteran cowboys and upstart cattle lords vying for power and vainly resisting change. As the world enters a new century, three teenagers forge a future for themselves on the wild Texas grasslands: Gideon Fry, torn between going his way and following his father's footsteps; Johnny McCloud, whose restless spirit finds its solace traversing an open range; and Molly Taylor, the woman they both love. Rugged, bold and volatile, the three of them come of age in this tender and intimate novel of the heart. When Comanches slaughter his parents in 1855 West Texas, eight-year-old Jeff buries their scalped bodies—and the charred remains of his younger brother. Taken in by a homesteading family, Jeff ekes out an existence. But as he dons Confederate gray, he never dreams his brother is alive—or that he’s wearing Union blue. From the horseback days of the Old West through the gangster days of the 1930s, Hamer stood on the front lines of some of the most important and exciting periods in American history. He participated in the Bandit War of 1915, survived the climactic gunfight in the last blood feud of the Old West, battled the Mexican Revolution's spillover across the border, protected African Americans from lynch mobs and the Ku Klux Klan, and ran down gangsters, bootleggers, and Communists. Beautiful, Absurd & Melancholic Frontier Noir. Part epic of Texas, part classic coming-of-age story, part unflinching examination of the bloody price of power, The Son is a gripping and utterly transporting novel that maps the legacy of violence in the American west with rare emotional acuity, even as it presents an intimate portrait of one family across two centuries. 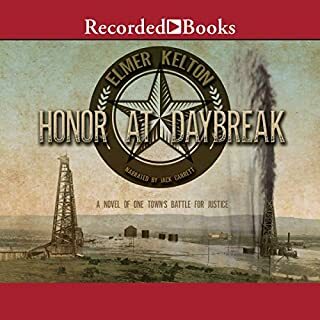 Eli McCullough is just twelve-years-old when a marauding band of Comanche storm his Texas homestead and brutally murder his mother and sister, taking him as a captive. America's richest legends come from the frontier - from the land where the events of a single moment might erase the lines between law and lawlessness, between safety and mortal danger, between heroes and villains. The carefully selected stories in this collection are vibrant proof that the great American West is a fertile ground to storytellers. 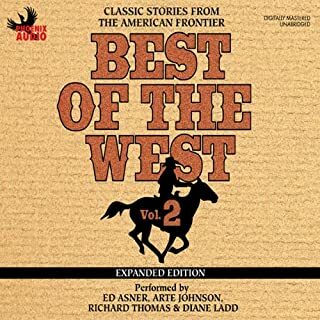 Here's the most varied collection of short stories, by 17 highly acclaimed Western writers, including works from Spur Award Winners Zane Grey, Will Henry, Elmer Kelton, Matt Braun, Loren Estleman, Gary McCarthy, Bill Gulick and more! Featuring performances by Roseanne Cash, Gary Morris, Ed Asner and Crystal Gayle. 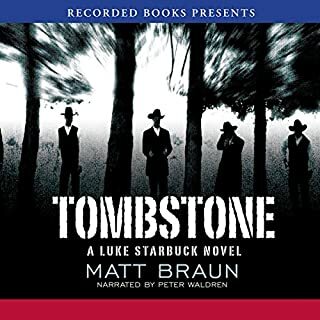 I just finished listening to this audio book, and it was so good I'm going to purchase the next volume. The writing is crisp, descriptive, and the length of each story is perfect. 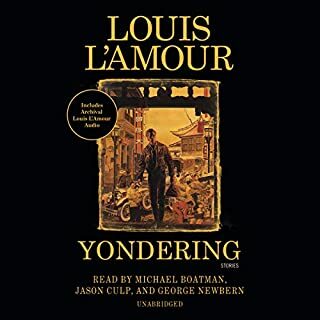 While the narrators listed are Roseanne Cash & Crystal Gayle, there were other male narrators as well -- excellent narration and recording quality. I highly recommend this collection of shorts. Not bad choices for the first volume. Now tell me what are in the second volume. For what this book is it is fine. I am not much on short stories. This book reminded me of the old dime novels that I used to read when I was kid. Not bad but not my cup of tea.